Well, the outcomes are in– E Scoparia bark on the left and E Poyanthemos bark on the right. As I was rinsing my pots a sudden movement caught my eye. 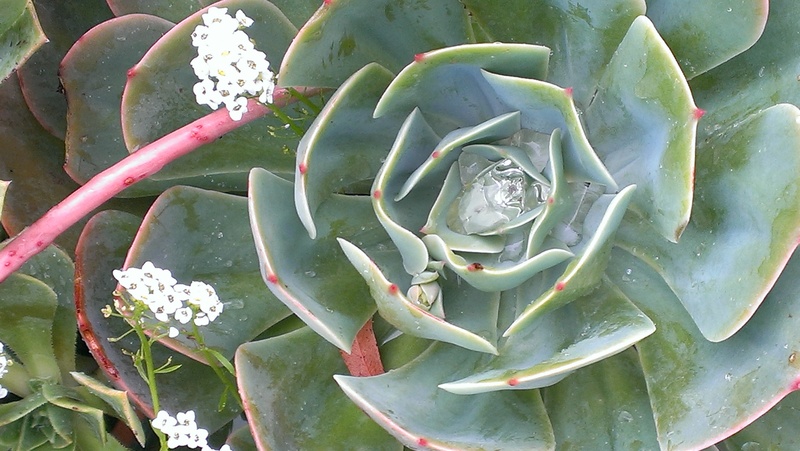 All those cuttings and seedlings and little trees are doing well, because, we have finally had some lovely rain! It’s lovely to see water pooling after the long dry of summer. 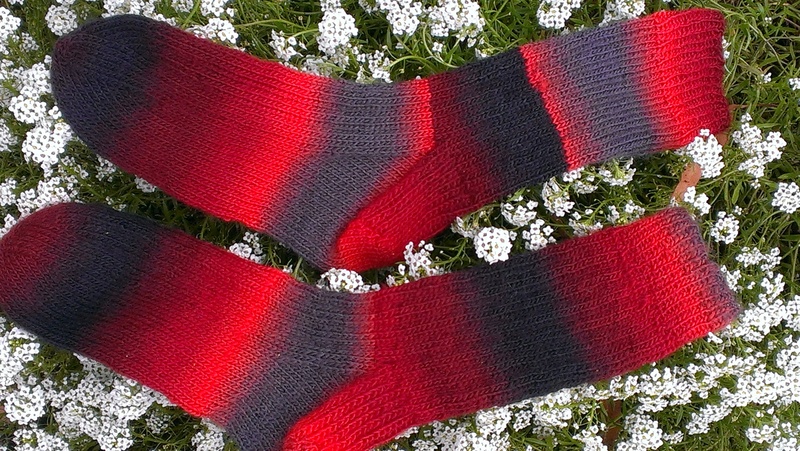 And, a lovely pair of warm socks for the coming winter chilly toes have made their way off the needles! Well that’s chalk and cheese! 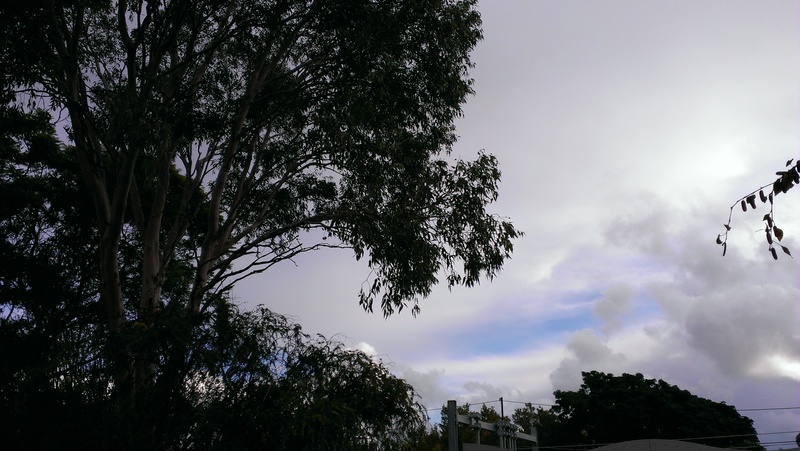 We’ve also had rain and lots of it here in Canberra, over the past day and a half, just over 70mms so now the ground is well sodden. Isn’t it, though? 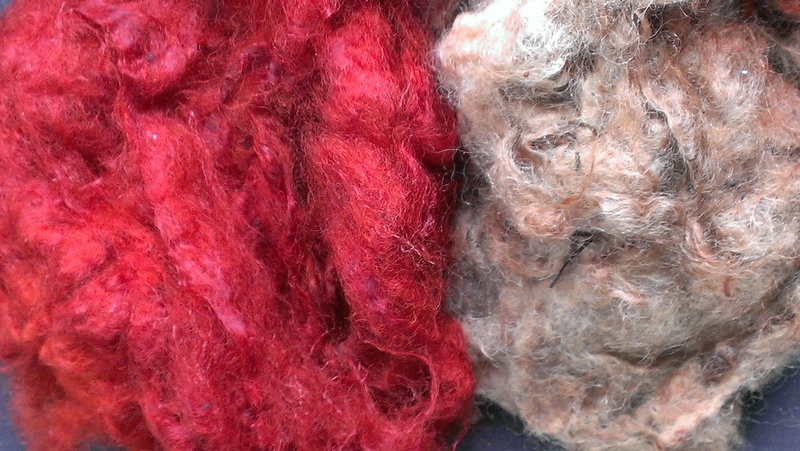 Even though the colour in both pots was so strong and the fleece came from the same bag of wool. I hope rain is just as happy for you as it is here. I am very glad that India Flint likes my pictures and I have said “yes” to her on Facebook. How fast are these eucalyptus colours? How do they compare, fastness wise, to the mainstream dyes like madder and indigotins? Eucalyptus dyes are substantive on protein fibres without mordant. 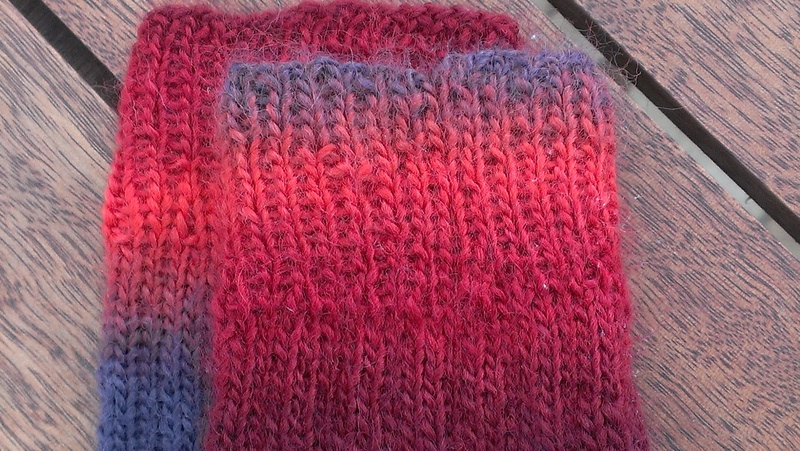 In my experience, they are more colour fast than madder (could be my madder dyeing skills!). Unlike indigo, eucalyptus is not substantive on cellulose fibres though. Thanks! This tree always gives lively colour. 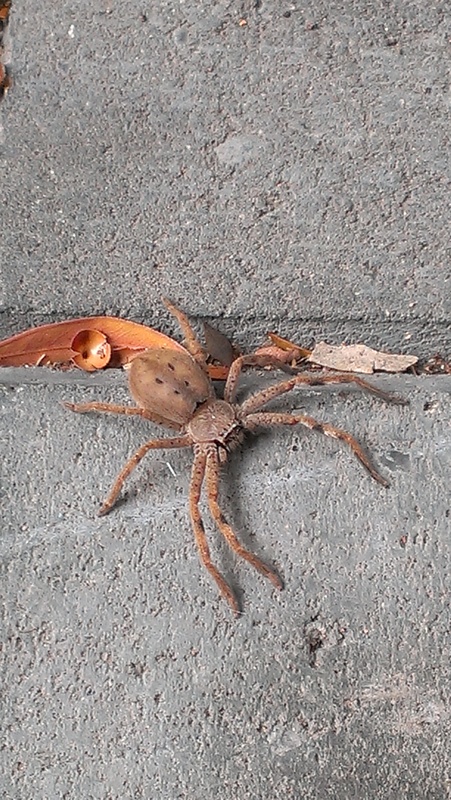 amazing luminous color – dyepot and socks…and seriously scary arachnid! Thanks! I think the spider had more reasons to be afraid! That was a nice surprise, but then it always is 🙂 I’ll be sending this on to another AU dyer, just in case she has the same trees in her neighborhood. Thank you! ‘Spidey’…………friend or foe? Surely your friend will have dye trees nearby even if they are different. Spider is friend! What lovely socks and a beautiful spider.